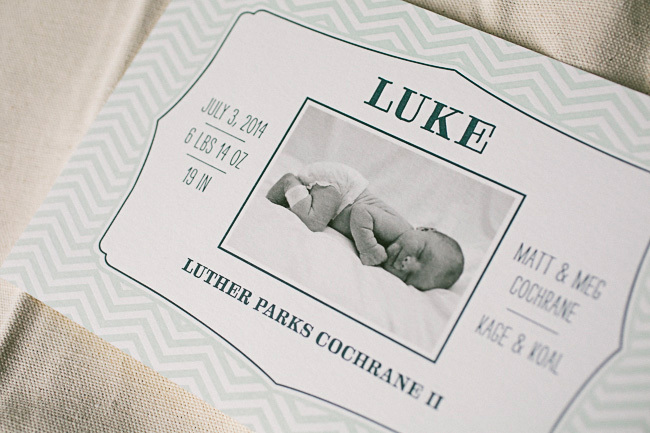 Baby + Kids - Smock. 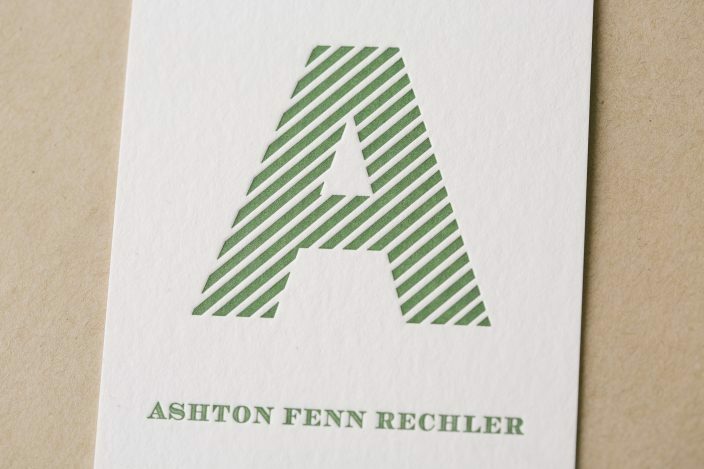 We worked with Adrienne at Ipanema Press to create these monogrammed letterpress birth announcements to mark Ashton’s arrival. 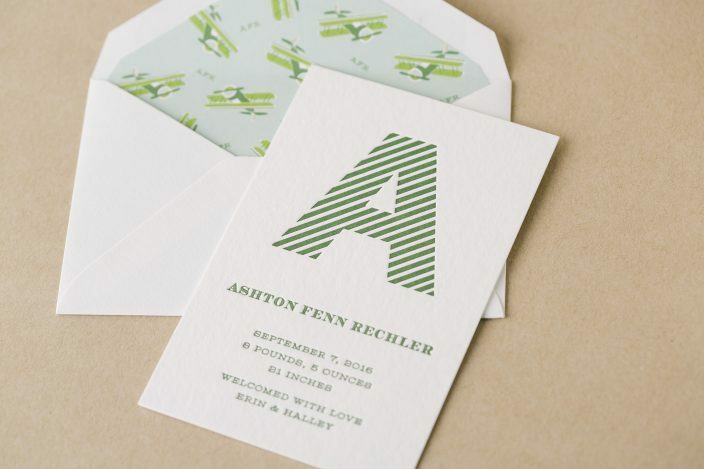 We letterpress printed the petite S-5 cards in vine ink on our thick, 2-ply white bamboo paper. 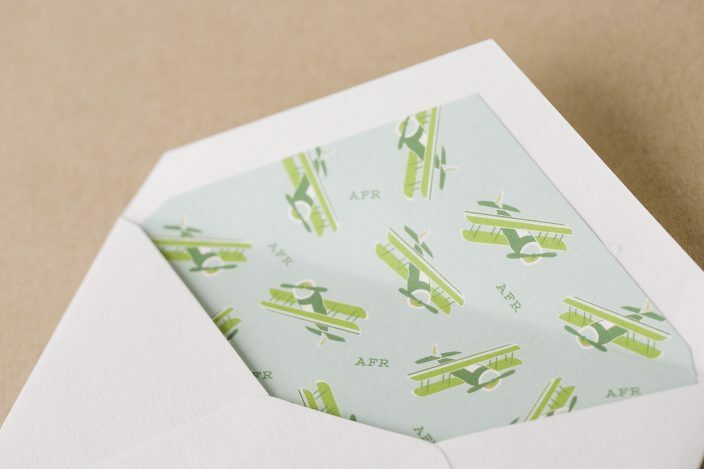 Adrienne created an adorable patterned envelope liner featuring custom-illustrated airplanes and Ashton’s initials in shades of green and pale blue. 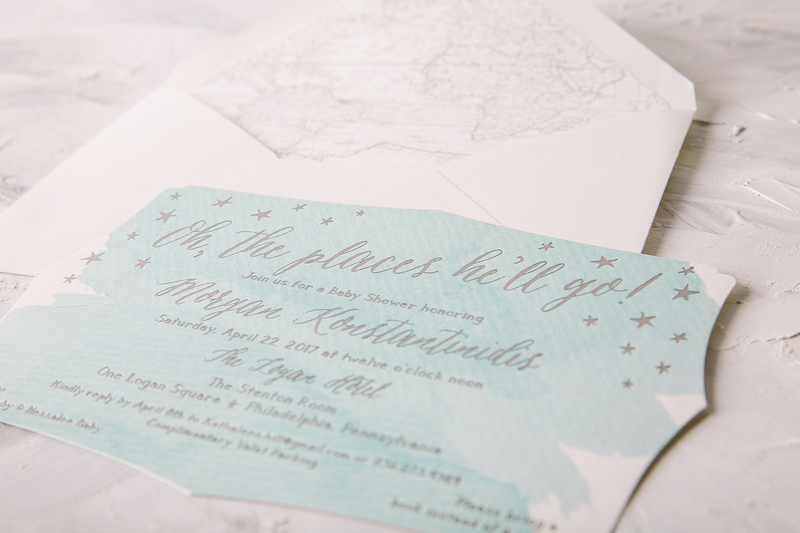 Such a sweet way to spread the news! 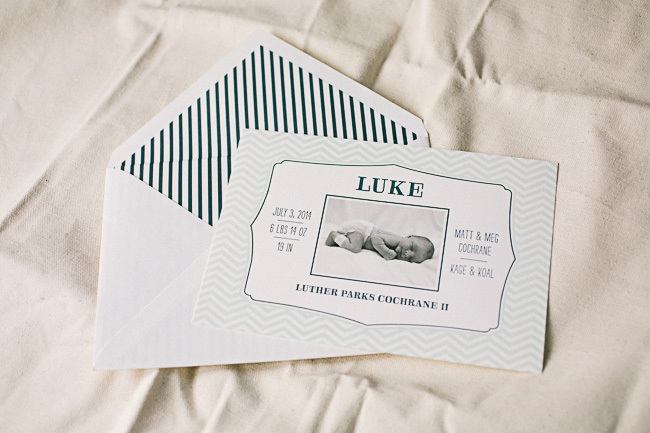 We love the pattern play on these sweet birth announcements that we printed for Luke’s arrival last summer. 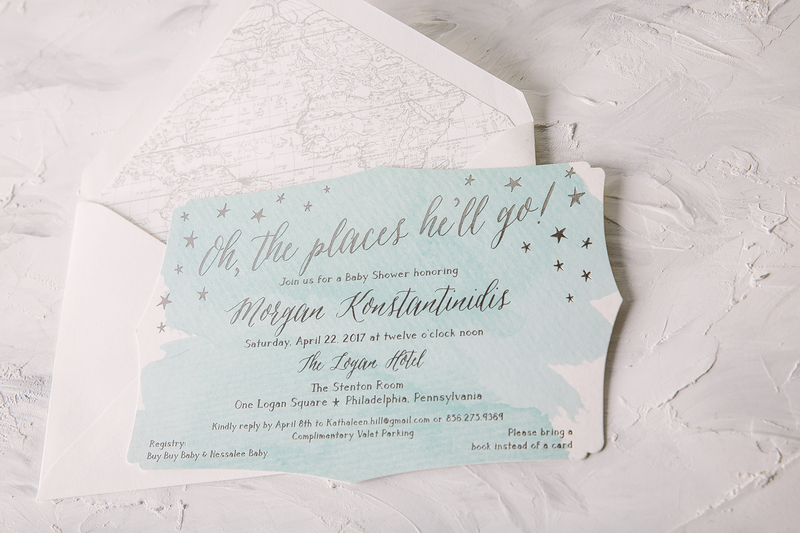 Inspired by our Roxbury design, these letterpress birth announcements pair sea mist and midnight inks on our white paper, with a digitally printed black & white photo as the main focus. 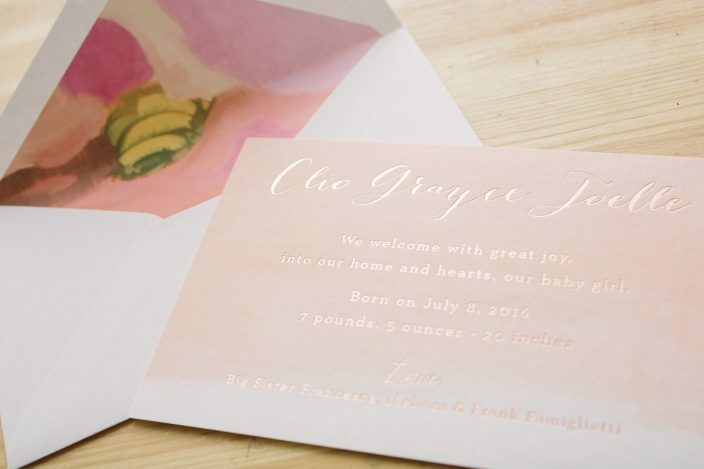 A striped patterned envelope liner added some contrast to the chevron patterning used on the announcement. 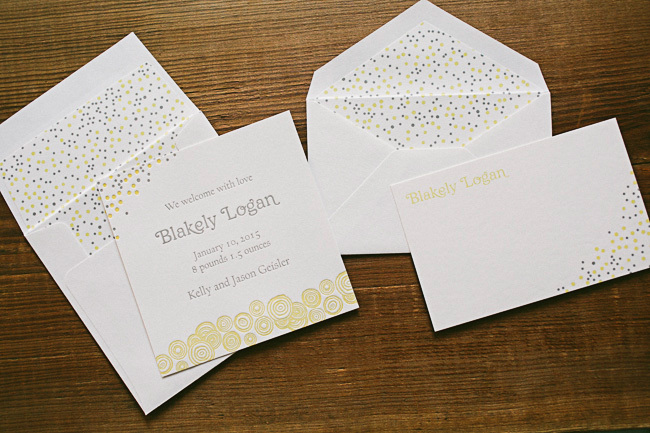 We created Blakely’s letterpress birth announcements and social notes by combining playful patterns in chartreuse and silver inks. 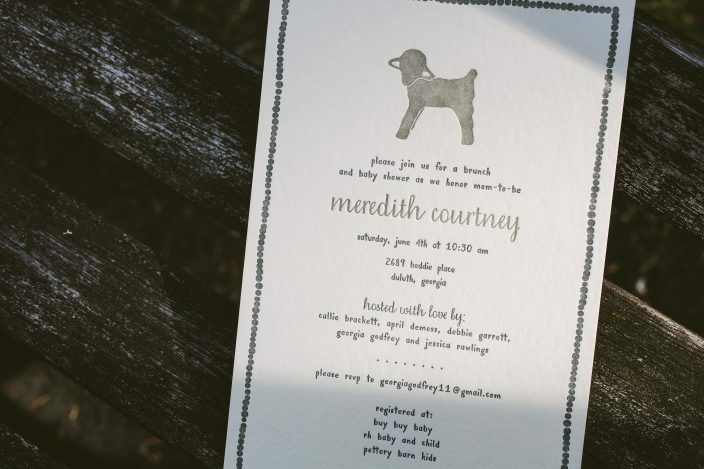 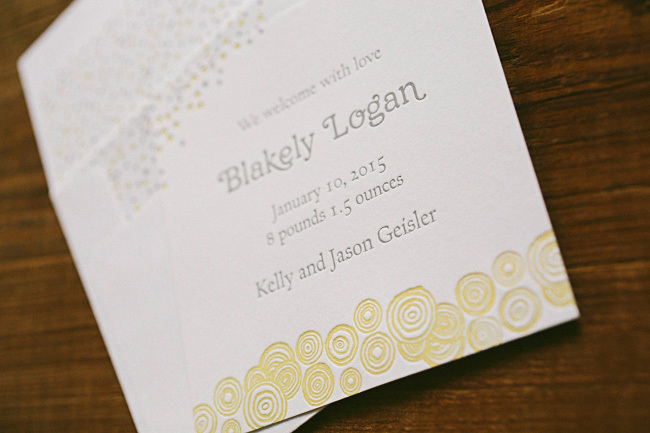 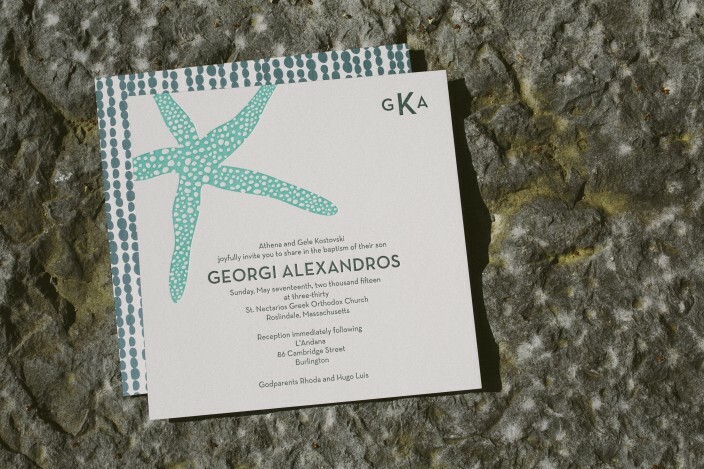 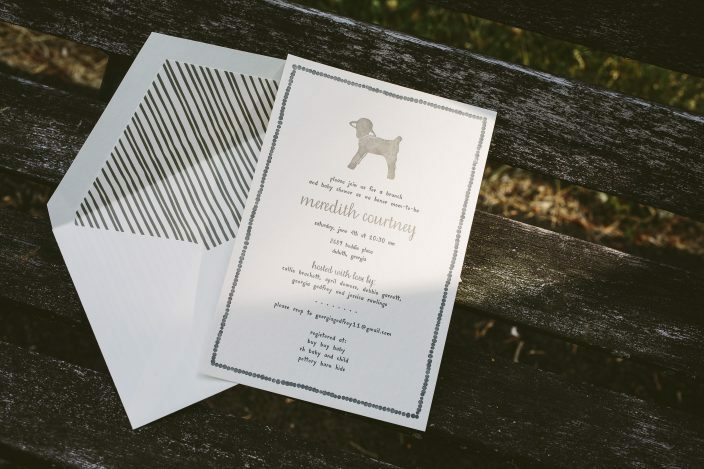 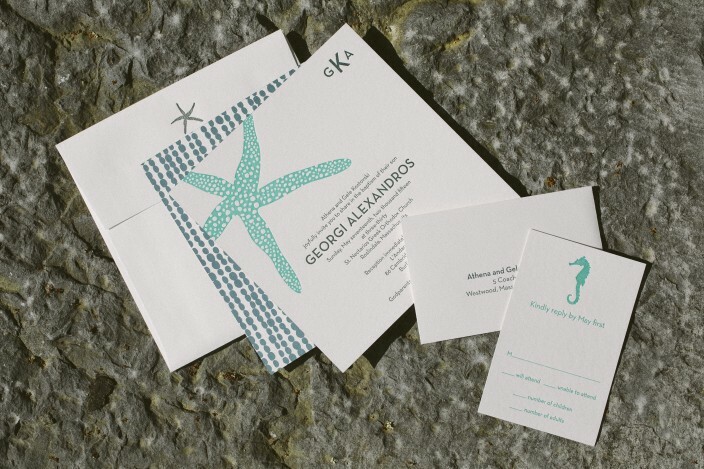 Letterpress printed on our white bamboo paper, the announcement featured confetti-like dots from our Pearl pattern as well as our Bodin border. 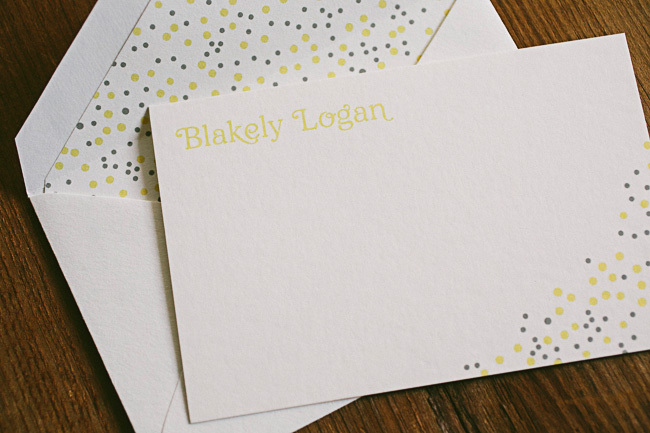 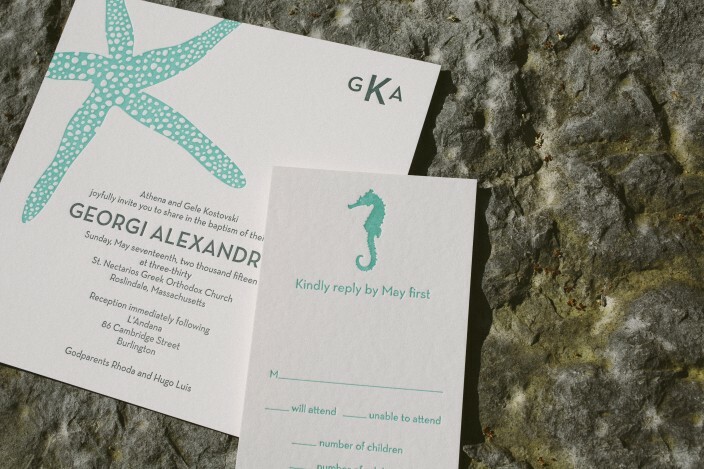 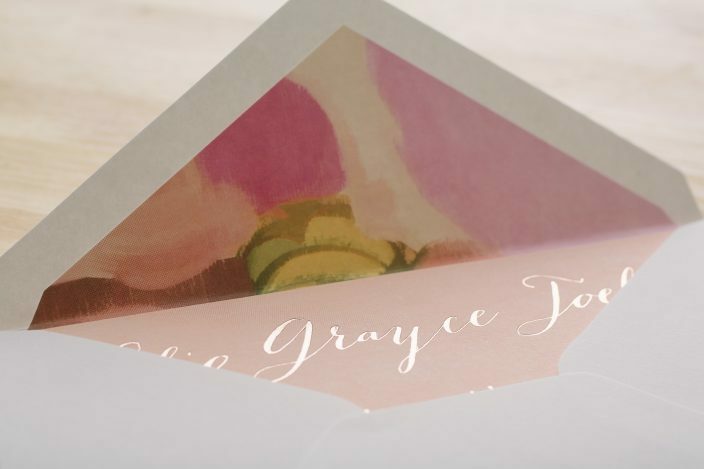 We digitally printed petite social notes and matching envelope liners in our Pearl pattern to match. 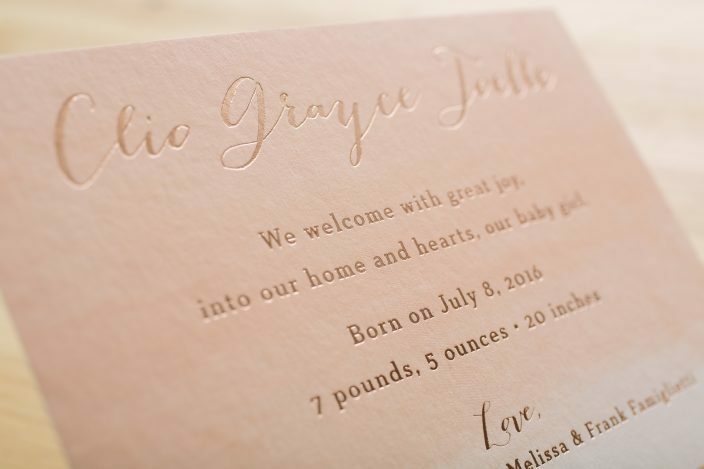 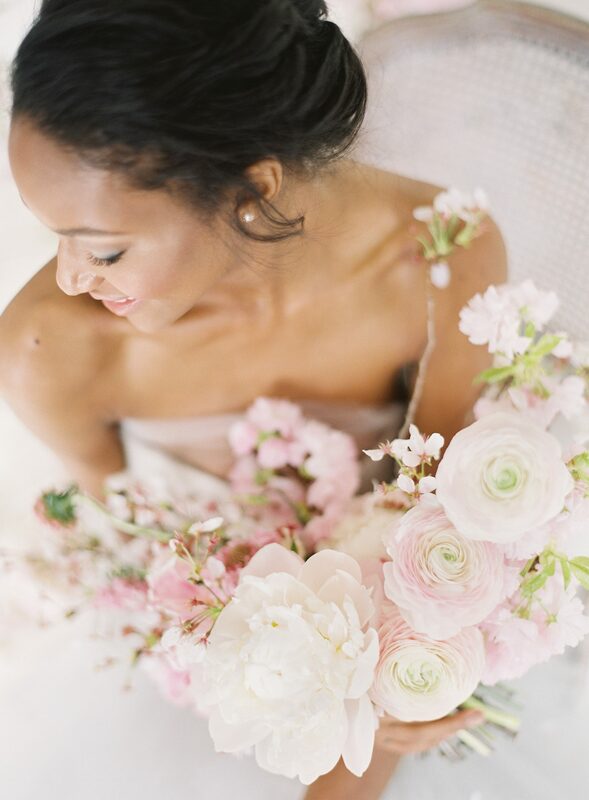 What a sweet way to welcome a newborn!